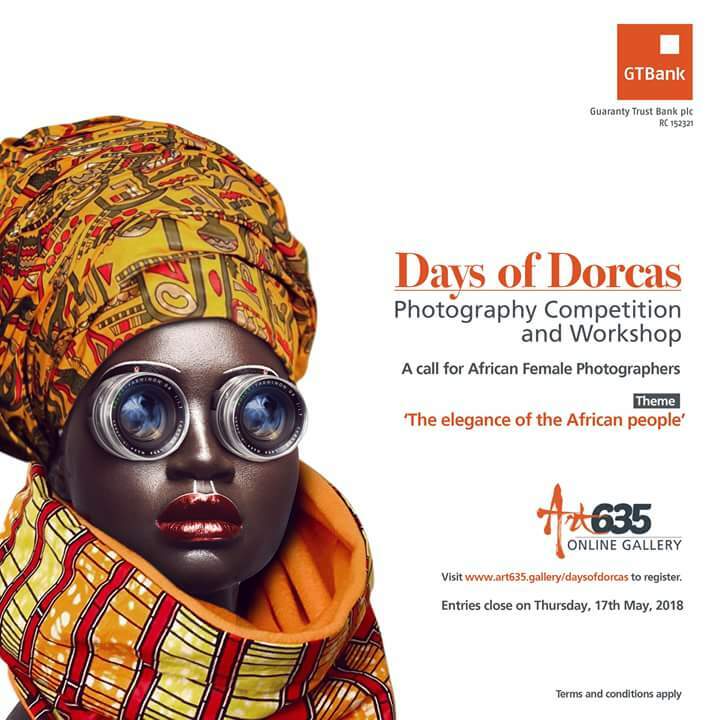 The online competition gives budding African female photographers, between the ages of 18 - 39 years, the opportunity to enhance their career in visual arts and photography. To participate in the contest, interested artists/photographers are expected to send in their entries on the theme “The elegance of the African people” via the website; www.art635.gallery/daysofdorcas. Entries close on 17th of May 2018 and will be assessed by a panel of judges. The top 25 finalists will receive a 6-day workshop (between 28th May, 2018 - 2nd June, 2018), which will be facilitated by experts in the arts and photography industry. The winner and the 1st runner up at the workshop will be rewarded with photography equipment.